NEW YORK – Despite behavioral differences across generations, all luxury buyers are united in a sense of discernment and a quest for quality. During a panel hosted by Brizo on Feb. 7 and moderated by Trend Hunter’s chief insights officer Armida Ascano, speakers discussed how luxury today often revolves around convenience and simplicity, as consumers seek out retail experiences that are as easy as buying through Amazon. This includes a seamless, cross-channel shopping path that takes into account the increasingly complex purchase journey that consumers today take before committing. “I think we’ve all been trained by technology and apps and mobile sites and social media to expect everything pretty soon, quickly, seamlessly without friction,” said Mickey Alam Khan, editor in chief of Luxury Daily. According to Angela Mariani, cofounder and CEO of C&M Media PR, while boomer clientele still turn to traditional media and in-store experiences, younger shoppers are more apt to take an independent approach. For millennials, an in-store visit is often the last stop in their journey, as they confer with sales associates to fact-check information that they have already gleaned from their research. Across generations, the luxury buyer is demanding and expects a high level of service and knowledge from frontline personnel, partly due to their ability to research on their own. This also extends to all aspects of working with affluent clients. Tommy Zung, principal at Studio Zung, shared his firm’s experience working on a sustainable home project, for which they traveled to Bali to work with artisans on custom pieces and to source petrified wood. "When you’re working with a client who is wanting the experience, the aura of what that entails, they will go to any length to obtain that or have that," Mr. Zung said. Today’s retail environment is more client-centric, pushing brands to think of how they fit into a consumer’s lifestyle rather than simply pushing their own stories. Mr. Alam Khan noted that one of the things consumers are looking for from retailers is candor, including sending a shopper to another brand if that is the better fit for them. Not only is honesty the best quality for customer service, but this display of authenticity will leave an impression, leading the consumer to return to the brand later. Jai Robinson, senior channel marketing manager at Brizo, also suggested that sellers treat clients as though they are their only customer, whether they are working with design professionals or end users. This includes communication, which she says cannot be overdone. Retailers should also think about targeting a consumer’s entire family rather than just an individual. Children often influence purchase decisions, so building a relationship and showing a family’s youngest members the benefits of a particular feature can help to drive a sale. This lifestyle approach also extends to branding. For instance, C&M Media client Missoni has built an entire relatable lifestyle around its brand, allowing it to stand for more than fashion through extensions such as cookbook. Meanwhile, Brizo has differentiated itself by positioning itself as a fashion item for the home (see story). However, even with this lifestyle push, sometimes simplicity is the best marketing tool. Mr. Alam Khan said that hotels would be smart to point to the quality of their pillows as a differentiator, speaking to a practical yet important luxury. As home décor becomes more simplistic, consumers are still willing to spend on kitchen and bathroom design. Mr. Zung pointed out that unlike a garment that will only be worn on occasion, fixtures are something that consumers engage with on a daily basis. Putting the expense in these terms can help to convince customers to invest in a more premium brand. However, what consumers are looking for differs partially on their background. Clients who come from wealthy families are more apt to have grown up with luxury, and today they tend to choose more discreet quality over flash. Newly wealthy consumers, on the other hand, can favor more obvious displays of affluence or may prefer casual luxury over traditional touches. During a webinar presented by Euromonitor on Jan. 31, analysts laid out the 10 consumer trends for 2019, which were linked by common themes of mindfulness, digitization and discernment. The researcher notes that amid political upheaval, consumers are looking to take back control and make an impact (see story). Despite being digitally driven, Generation Z consumers value bricks-and-mortar shopping and tactile retail experiences. A report from Criteo finds that while three-quarters of this up-and-coming consumer group prefer to shop online, 80 percent enjoy visiting physical stores when possible and 65 percent want to touch items before buying. 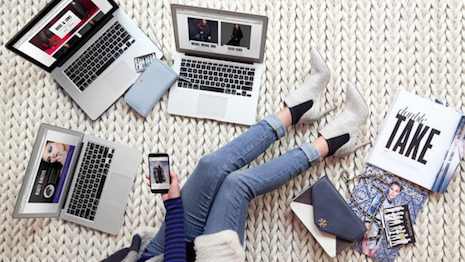 Rather than eschewing traditional retail entirely for ecommerce, Gen Z is instead seeking bricks-and-mortar stores that incorporate technology and seamless omnichannel shopping (see story). “Depending on your different demographic segment, they will research more or less, and research differently,” said Ms. Robinson. “The younger generations will typically going to be researching through their social communities, and what their friends like and want." While younger millennials and Gen Z consumers tend to research online and via social media, Ms. Robinson has noticed a change towards them wanting to go into bricks-and-mortar stores for the experience. Bridging channels throughout the research and purchase process is therefore of the utmost importance. "Any of you that can crack the omnichannel code will win,” Ms. Robinson said.